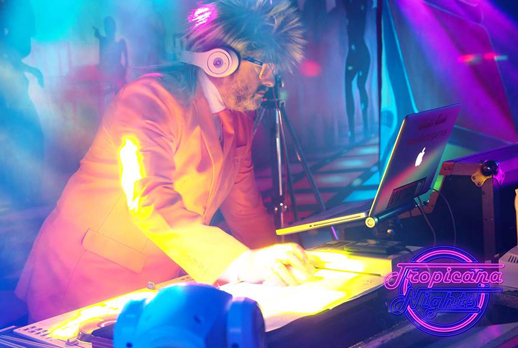 For the past 3 years Shades Events have teamed up with Grayham Moorcrofts Tropicana Nights to provide the Ultimate 80s night with Prolight being the go-to supplier for lighting and sound. 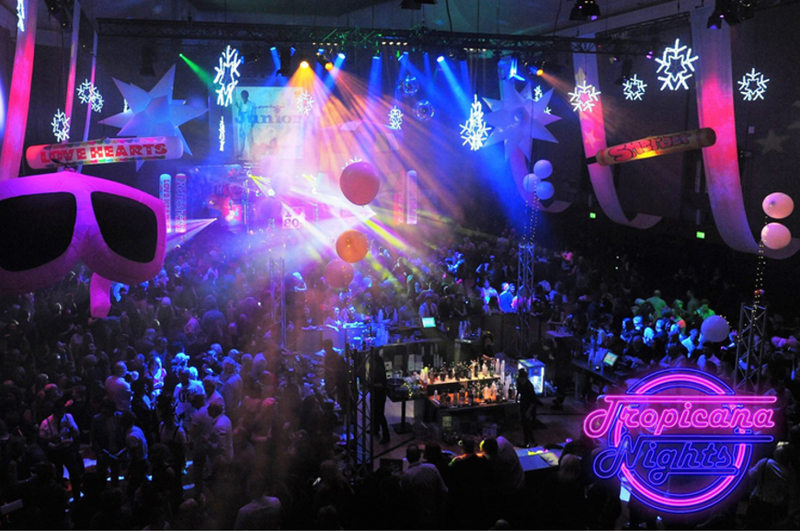 Tropicana Nights Grayham Moorcroft runs the event providing all the props, backdrops, air tubes and inflatables whilst Shades Events provides the event with all the lighting and sound fixtures. “With a strict 80s music policy Tropicana Nights provides great entertainment, with 99% of the audience arriving in fancy dress”, said Shaun Easton, owner of Shades Events. Flight Cases to protect the fixtures. 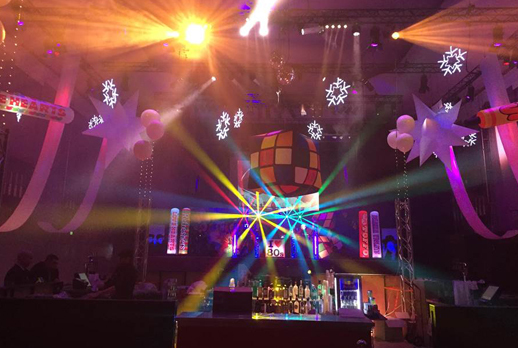 With many of these events throughout the year Prolight are proud to be the main choice of lighting and sound.